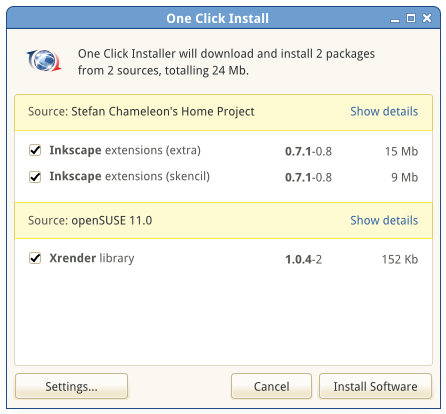 One of my favorite features of openSUSE is the one-click installation. Application authors can put a button on their web site, which brings all the machinery required to allow users to install their application simply by clicking the button. No knowledge about repository URLs, package names, or any other technical details is needed. Just one click. The build service and the openSUSE software search make heavy use of this feature, and there are also many third party sites, which provide easy installation of software for openSUSE through the one-click installation. In practice the one-click installation is not exactly one click. 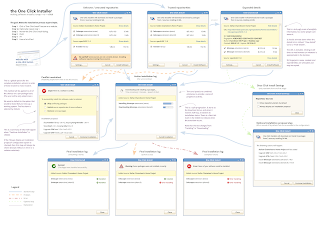 The current implementation provides a wizard with a number of steps, where the user can choose packages, import repository keys, and perform the actual installation. As this isn't the ideal user experience, we would like to have there, Garrett LeSage came up with a new design during one of the openSUSE hack weeks, which which simplifies the installation workflow, hides technical detail, and aims to provide a more beautiful experience to the user installing software. As part of the Google Summer of Code 2012, Saraubh Sood is implementing the new design for openSUSE. I'm mentoring him for this project. The code and more details about the project can be found in the Beautiful one-click installer project Wiki on Github. Saurabh is making good progress. At the beginning there was a good amount of infrastructure and background work to be done. Now we are starting to tackle the user interface. An initial result is already there. The next steps will be to refine and complete the user interface according to the design mockup and connect it to the backend. 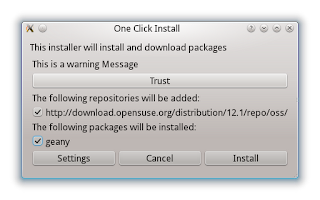 There is a decent amount of work to be done left, but it looks like we are on track of having a beautiful one-click installation experience for openSUSE at the end of the Summer of Code. 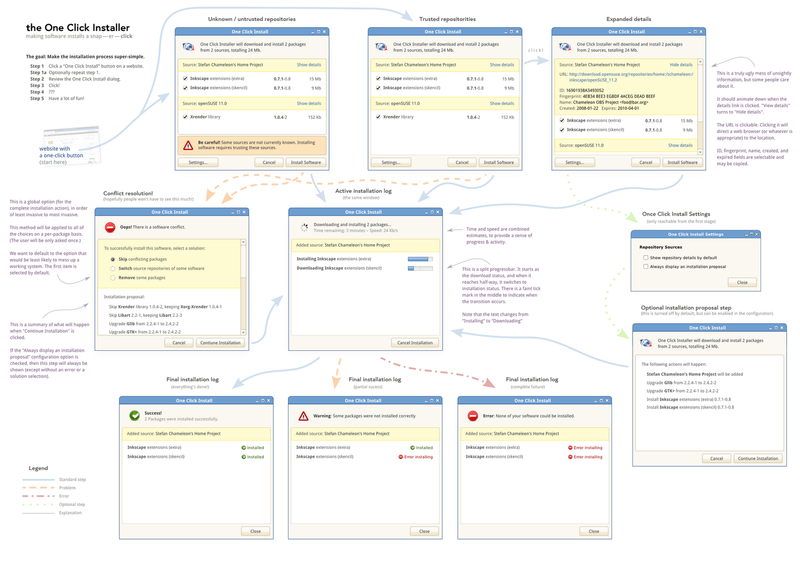 Beyond that there are a number of things we can do to make the one-click installation system even better. We can further refine the user interface, when we have a working implementation of the new design, and can collect more user feedback. It also would be good to extend the format of the underlying installation descriptions to hav more fine-grained information about which repositories provide which packages, or some automatic selection of repositories based on the version of the distribution the user is installing on. 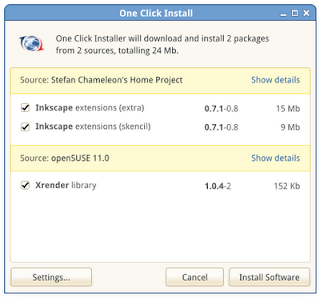 Some more tools to easily generate the one-click install buttons would also be nice. So there is a bright future for beautiful installation of software on openSUSE. I'm looking forward to what we can achieve over the summer and hopefully see results land in one of the next versions of openSUSE.